In May of 1779, Benedict Arnold informed the British of a planned American invasion of Canada, and from then, his name became synonymous with the word “traitor”. Benedict Arnold (1741-1801) was a Major General in the Continental Army under George Washington during the American Revolutionary War. Some of the stories of Arnold’s wartime heroism and shenanigans have been told in the Major Andre, Vanderbeck and Jonathan Odell Atlantic Loyalist Connection blog posts. At the end of the Revolutionary War, Arnold moved back to London for a brief period, and then sailed for Saint John, New Brunswick, sometime around 1786 (he would stay until 1791). There, Arnold was involved in a West Indian trading business with his son Richard, and Monson Hayt [also spelled as Munson Hoyt], a former Loyalist officer from New York who served in the Prince of Wales American Regiment. While in Saint John, Arnold initiated a series of legal actions, not sparing his friends and fellow Loyalists such as Edward Winslow. Legal wrangling was dear to Arnold’s heart. According to Barry K. Wilson, author of Benedict Arnold: A Traitor in our Midst, the minute books of the New Brunswick Supreme Court show that, during his short stay in NB, Arnold was in court 50 times! The most significant of Benedict Arnold’s suits was against his previous business partner. On July 11, 1788, the building used by Arnold and Hayt to store their merchandise burned to the ground. Benedict Arnold’s son Henry almost lost his life in the conflagration, as he often slept in that building. Benedict Arnold hired Ward Chipman to represent him. 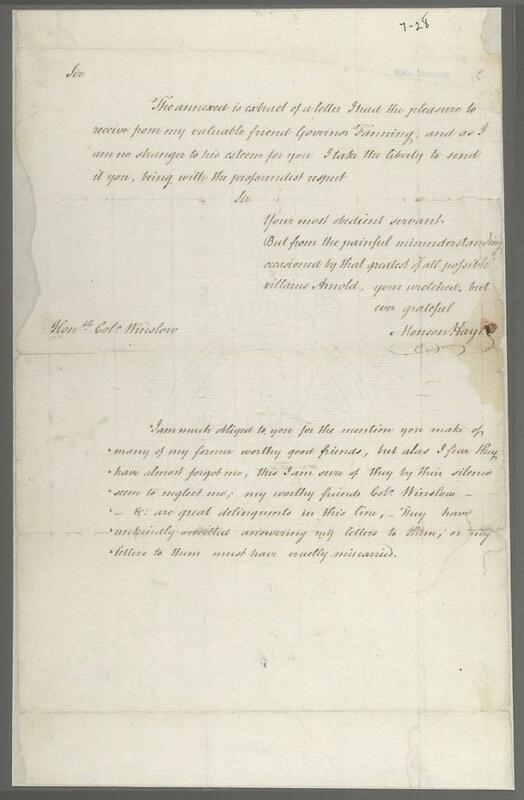 Chipman, a graduate of Harvard, was solicitor general of New Brunswick (1784-1808) and had written the charter for the City of Saint John. Hayt engaged Elias Hardy, a prominent Saint John lawyer. The case was tried on September 7, 1791 in the New Brunswick Supreme Court with a jury of 12 men. The court was held in an Episcopal church on Germain Street. Hayt’s lawyer was restricted to asking only questions related directly to the case and that would not “besmirch” Arnold’s reputation. The court records state: “After the evidence for the defence was all in, the Plaintiff called witnesses to rebut it, two of them being his sons (Richard and Henry) who were in the store at the time it was destroyed by fire.” Arnold won the slander case against Hayt but received only a small amount of the £5000 he had claimed in damages. Shortly thereafter, a group burned Arnold in effigy in front of his home. Can one blame the Arnold family for leaving Saint John and sailing back to London? 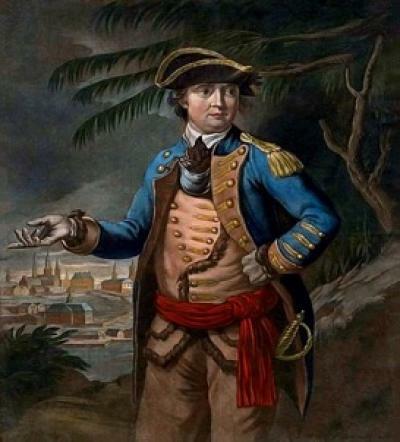 Louis Quigley, “Benedict Arnold,” https://mynewbrunswick.ca/benedict-arnold/ Accessed 14 April 2018. Christine Lovelace has a MA in Records and Archives Management and is Archivist with UNB Archives & Special Collections. Thank you for your interest in this topic! 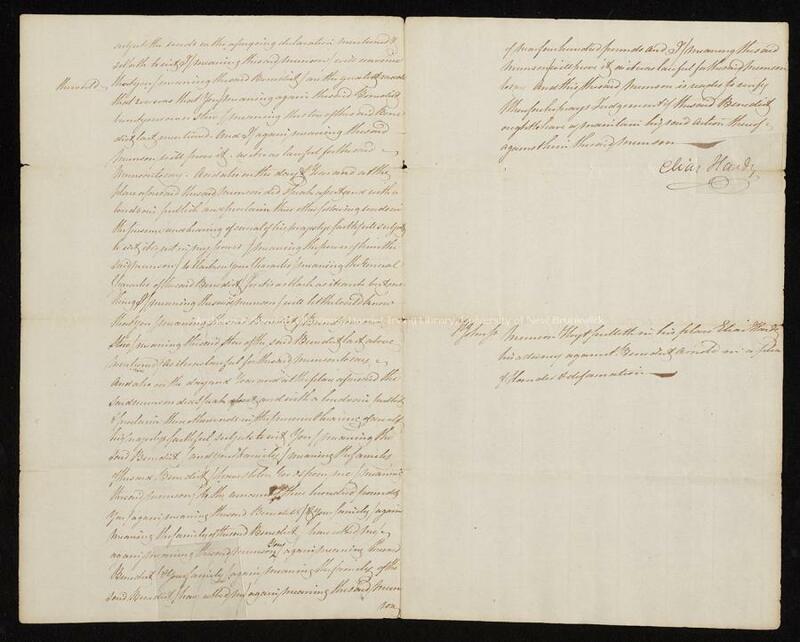 Stayed tuned for the a post on digitization of papers on May 2nd. Issachar Currier was a shipwright from Amesbury/Salisbury, Mass. who came to New Brunswick in either late 1783 or early 1784 without his wife and family. In his July 1785 petition for land at Upper Gagetown he said he had been in the Province for 18 months helping to “build Mr. Beckwith’s ship”. He indicated he intended to set up a shipyard on the land he petitioned for. 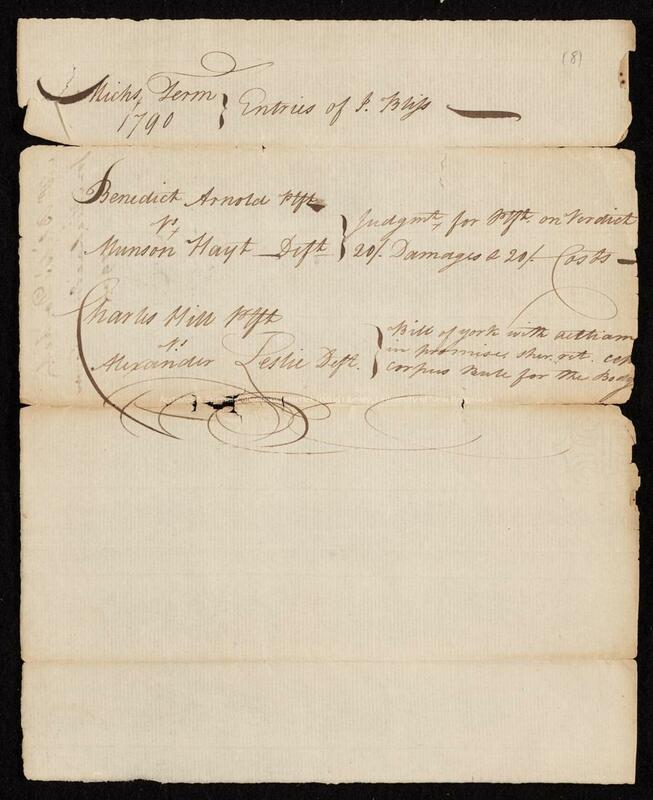 The grant was issued in 1786 and in 1799 Issachar received two lots at Kingsclear. There is a Currier Creek running through these lots and a Currier Basin was created in the head pond of the Mactaquac Dam in the 1960’s which partially flooded the front part of the lots granted to Issachar. He still owned the land in Upper Gagetown and Kingsclear when he died in 1807. The Currier family continued building boats at Gagetown for at least two more generations. Captain David Currier, grandson of Issachar, began active life in charge of a passenger sloop and afterwards as that of the first river steamer. In a February 17, 1883 interview in the Saint John Daily Sun Captain Currier recalled his family moved from Upper Gagetown to St. John in 1805 and in 1810 to Kingsclear, thence to Maugerville in 1811, where his father (also named David) engaged in shipbuilding for different parties building the Eliza Ann, a brig of 350 tons for Capt. MacDonald; the Mary Ann, 200 tons for Nelson Deveber and several schooners for William Taylor and Benjamin Taylor. In 1813 “we removed to Gagetown where my father continued shipbuilding and was assisted by an elder brother of mine, Daniel Currier”. Thank you very much for taking the time to bring addional information to this already intriguing story. If you would like to contribute a post to the blog, you can always contact us at mic@unb.ca. I enjoyed reading your response: Arnold’s escapades continue to surface in the twentieth-first century, adding to a well-established legacy of controversy and havoc. He may indeed be “unwept, unhonoured, and unsung” but he is still drawing attention through his dual roles of public figure AND rogue!